Your partner gently leans over and says: “I want to go for a romantic vacation, without the kids, and by the way, we should fly, not drive.” And now, if things couldn’t be worse, you know they will all judge you, and the quality of their vacation will be based on your decision. Crazy? Is this scenario all that unrealistic? In fact, for many, this resembles the life of a local government manager. As one city administrator defined it, “multiple conflicting priorities,” topped off with a performance appraisal. As a manager, your job is to carry out the wishes of the governing board. But if you cannot find agreement on where you are going, who is driving, and who is in charge, you are on the road to dysfunctional government and a strained relationship with elected officials. An evaluation of the manager—a process hated by most and ignored by others—should be an opportunity to both develop a manager’s knowledge and move a community forward. 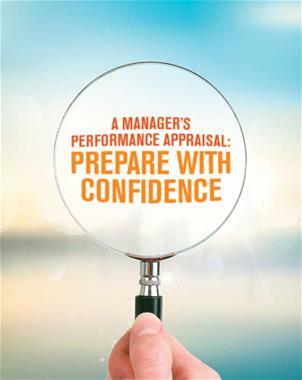 If we are able to step back from the report-card aspect of most appraisal processes and realize that a performance appraisal is simply a tool used by elected officials to ensure that community goals are being met, then one can appreciate the power of this tool. Walk into a Whole Foods, order shoes through Zappos, or spend a night at the Ritz and you’ll quickly see the value of a positive workplace culture. Whether its Zappos emphasis on delivering “WOW” through service (ask my wife), or Whole Foods’ friendly, smiling clerks (I love shopping there), and I can’t even describe the joy in staying at the Ritz–the emphasis on taking care of the customer is ingrained into the fabric of each company and embodied in its workforce. Culture is not a squishy concepts best left to human resources. No, its the essence of a company, its personality. Culture is made up of a company’s core values, beliefs, goals, and traditions. It’s who they are and how leaders form and shape it determines whether the company will flourish or wither on the vine. Hire right every time: It all starts here. Hire stars. Otherwise expect problems. Develop a strong management team: Train your managers and supervisors. Unless you have strong front line supervisors, you are not going to be successful. Create a work environment that people love: Engaged employees don’t quit. It’s all about the culture. 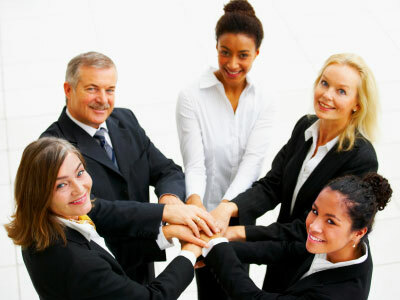 Integrate new employees into your workplace: Develop an effective on boarding program. Your new employees should be excited about their decision to join you. Understand and meet your employees’ needs: Star employees remain engaged when they are paid fairly, treated with respect, have the tools to do their job, are recognized for their good performance, know that you care about them, have growth opportunities and their opinions and ideas are valued. Be clear about your expectations: Employees want and need to know what you want them to do. When the company and itsmanager are clear about what is expected, employees rise up to meet them. Communicate: It’s basic, but many problems begin here. Provide frequent, timely, problem solving communications. And listen to your people. Take care of your employees: This isn’t a kumbaya thing. Understand your employee needs, meet them, and they’ll stick around. Employees want a manager who cares. Retaining stars is not complicated, but it takes work. I’ve helped many organizations retain their best employees. Many have seen their turnover reduced in half within a short time. Give me a call and we can discuss how we can make this happen at your company. 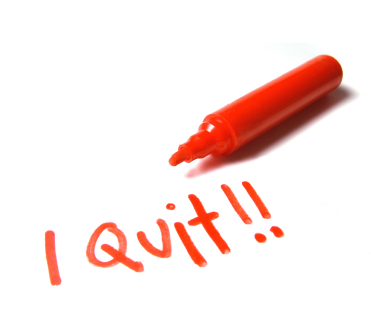 What would happen if you offered your employees $5,000 to quit their jobs? Would they go? Amazon adopted a “Pay to Quit” policy designed to “encourage folks to take a moment and think about what they really want to do” according to Amazon CEO Jeff Bezos. This program is a version of Zappos’ policy (“the Offer”) where the company gives new employees the offer of paying them for the time they have worked plus a $2,000 bonus if the new hire quits. Crazy? Well at Zappos, 97% of the employees given the offer STAY. Recruiting the best workers, providing a work environment where they can thrive and be productive and then retaining them is the key to successful organizations. On the one hand, you don’t want to retain employees who would rather not work for you. On the other hand, you want to retain your best workers. Amazon and Zappos have taken the bold steps to clear out employees who would rather be elsewhere-a principle I touted in my book Uncomplicating Management. Zappos has created an environment where people want to stay. Amazon is betting they have one too. Take a look at your organization. Are you hiring the best? Are your people productive, engaged and happy? Is your retention of your good people high? If you can’t answer affirmatively to these questions, you’ve got some work to do. Amazon and Zappos are betting they have a great place to work. You should too. Need help recruiting and retaining star employees? Give me a call. I can help. Watching people connect in the workplace will tell you a lot about a company. In over 25 yeas in business, I have found that by observing how people interact, one quickly understands how a company operates, its effectiveness and its level of employee engagement. One of the perks of being a management consultant is the opportunity to visit literally hundreds of different organizations. I always try to arrive at scheduled appointments early. The condition of the facility, the initial greeting by the receptionist, and the interplay of employees provide me a wealth of information about the organization’s culture. Am I greeted with a smile or am I another intrusion? Are employees talking with one another, engaged and animated or disinterested and frustrated? Is the “feel” of the organization warm or cold? You can get that same read in a restaurant. My wife and I frequent the many fine area establishments. We both watch for how we are treated by the host and our server. The chef can make a fabulous meal, but it is the host and server that make the experience—and they will determine whether or not we return. We expect a smile; a cheerful and helpful attitude; quick and knowledgeable responses to questions and requests; and a willingness to do whatever it takes to make our experience positive. When that happens we return – frequently. And we also tell our friends. Engaged workers engage their customers and engaged customers buy. Gallop recently released their annual poll on employee engagement (2013 State of the American Workplace Report) and the results are not good. Only 30% of the approximately 100 million people in America who hold full time jobs are inspired and engaged at work; 20% are actively disengaged; and half are not engaged at all. In other words, 7 in 10 workers are either simply showing up or are actively sabotaging their companies. It gets worse. Only 41% of employees feel they know what their company stands for and what makes it different from the competition. And of these workers, “Millennials”, those born between 1980 and 1994, are likely to quit their jobs in the next 12 months if the economy continues to improve. Finally, service workers, those employees with the most direct contact with the customer, are the least engaged of all workers. Imagine – customer service reps, bank tellers, sales clerks, wait staff, call center reps – those individuals who have the greatest daily customer contact, those employees upon whom employers depend to take care of the customer; the very face of the organization, are the least engaged. Remember, disengaged workers directly impact the company’s bottom line. The CEO may set the goals and direction of the business, but it is these workers who determine whether it reaches them or not. The news is not all bad. 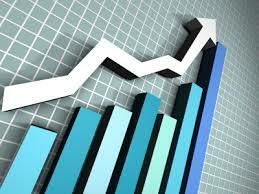 While the national statistics are damning, organizations are not condemned to follow. Great organizations have engaged workers, but they must first have engaged managers and supervisors. Studies show that without them, a committed workforce is nearly impossible. Great managers create engaged workers and when that occurs, organizations enjoy significantly higher productivity, profitability, customer satisfaction, less turnover and absenteeism, and even fewer on-the-job accidents. Gallop even found that organizations with an average of 9.3 engaged employees to every actively disengaged employee experienced 147% higher earnings per share compared to their competition. You can take that to the bank, literally. The best organizations are lead by and with strong managers who demand excellence from their staff. These managers set high standards and mirror it in their own behavior. Successful organizations hold their managers accountable for their department and staff’s performance. Every employee, manager and non-manager must buy into the company’s philosophy or they must go. The evidence is clear. When all employees are willing to do whatever is takes to make the company successful; embrace the direction of the firm; and value their customers, then success follows. And it all hinges on good management. It is that simple. The formula for success is not complicated. It may take hard work to achieve and investment in their people, but the benefits are huge. Customers know. Whether they’re shopping at the local store, purchasing a car, ordering dinner or calling customer service, they quickly realize the level of engagement by the employee with whom they interact. That singular exchange will often determine whether they buy or not and whether they’ll ever return to buy again. Organizations will likely have engaged customers when they have strong management and engaged workers, and engaged workers means higher sales and greater profits. Where Has Company Loyalty Gone? Employees Providing Great Customer Service? Many of the pundits are warning that companies will be laying off workers or reducing work hours to skirt the regulations that require them to provide health insurance under the Affordable Care Act. One company has said “nonsense” and is actually allowing part-time employees to increase their hours so that they can become eligible for the insurance, thus increasing the number of employees who will be receiving health insurance at their company. 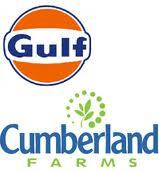 The Cumberland Gulf Group (Cumberland Farms Convenience Stores) believes that by taking care of their employees, they will see improvements in employee engagement, retention and customer service, all resulting in increased sales and profits. Rather than focusing on short-term savings by eliminating health insurance, they’re betting on their employees and the long-term health of their company by adding employees to the insurance rolls. The Cumberland Gulf Group has made employee satisfaction a corporate priority and knows that expanding benefit coverage to more of their employees is one way to achieve this. They realize that customer satisfaction requires happy, engaged employees. Cumberland is taking the big picture approach. It’s a smart move; it’s strategic; and it makes good business sense. Employees are not going to stick around a company that neither invests in them nor provides them affordable health insurance. 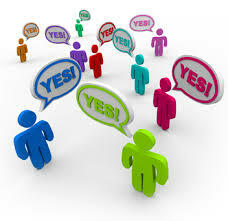 What do you think of Cumberland’s decision? Comment below. Having a healthy, open dialogue between employees and their manager is the cornerstone to employee engagement and productivity. While the focus is often on the employee’s performance and steps needed to raise the bar on their performance, attention must also be directed on the impact the manager’s action have on it. What am I doing that you would like me to STOP doing? What am I not doing that you would like me to START doing? What am I doing that you would like me to CONTINUE doing? Watch the reaction as you first pose these probing questions. Most employees will be initially reluctant to respond. Being honest can have negative consequences. But with time and trust, they will respond and their responses will allow the manager to reflect upon his style, allowing him to manage better. To remember the questions, think of a traffic light. 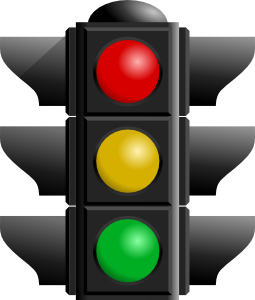 Red for STOP, yellow for CONTINUE, and green for START. Give it a try, and then let me know how it works out for you by responding in the comment section below. Subscribe to Uncomplicating Management by email or RSS. Uncomplicating Management The book by Rick Dacri. Uncomplicating Management · Rick Dacri's Blog to Uncomplicated Management Advice on Leadership and People.